Sunday Lunch: Resurrection… What Does That Mean to Me? Keep watching… soon, we will be celebrating the resurrection of our Lord, God, and Savior, Jesus Christ. 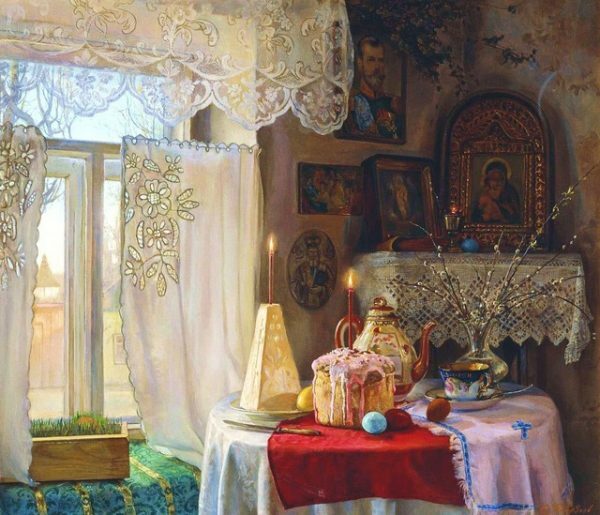 As we approach Holy and Great Pascha, the theme of resurrection is brought up and emphasized. A Fixed Date for Pascha? anticipate with joy our future resurrection into God’s Kingdom. the evening buries, the Lord brings to life in the morning. Let others believe in the God Who brings men to trial and judges them. I shall cling to the God Who resurrects the dead. when they call upon Him. grave; the Lord is a better mother than the mother. own with a song and awakens them. Resurrect my soul, O Lord, so that my body might also be resurrected. is within you, and your resurrection is already being accomplished. bodies our own. Which of them will be resurrected? That which is of the Living God in the graves, will be resurrected into life. the dead except the Lord. grave and out of the grave. he may die, he shall live’” (John 11:25). 2. Cf. John 5:24-30 and 1 Thess. 4:13-17. 3. Cf. 1 Cor. 6:19. 4. Cf. Gal. 2:20, Rom 6:3-11, and Col. 2:12. 5. Cf. 1 Cor. 15:35-57. 8. Cf. Phil. 3:10-11, 20-21. Hey Brother, Hey Sister… Can You Spare a Dime?